Draft: 2015, Pittsburgh Pirates, 40th rd. Daniel James Zamora graduated from Bishop Amat (CA) High School...Pitched for Stony Brook (NY) in 2013 and 2015 but missed his sophomore year due to left shoulder surgery...Became the fifth player in the Seawolves' baseball program's history to reach the majors...Ate at Long Island Bagel Cafe and Se-Port Deli often...Named first team All-America East Conference in 2015 to help Stony Brook capture the league regular season and tournament championship...Named to the America East All-Rookie team as freshman...Enjoys golfing, fishing and barbecuing. 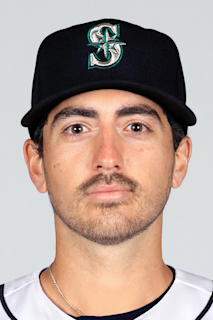 Had his contract selected from Binghamton (AA) of the Eastern League on August 17...Made his major league debut on August 17 at Philadelphia ...Was unscored upon in 14 of his 16 appearances...Stranded 12 of 14 inherited runners...Twelve of his final 16 outs came via the strikeout, including eight in a row from August 31-September 15...Overall, had 16 strikeouts in 9.0 major league innings...Earned his first major league win on September 29 vs. Miami with 1.0 scoreless inning...Retired Bryce Harper with the bases loaded on September 23 at Washington in an 8-6 victory...Right-handers were 2-13 (.154) and lefties went 4-18 (.222)... Held opponents to a .182 (2-11) batting average with runners in scoring position...Went 1-1 with two saves and a 3.48 ERA (20 earned runs /51.2 innings) in 40 games for Binghamton...Named to the mid-season EL All-Star team...Had 69 strikeouts and 16 walks. Inbox: What will the Mets' starting OF look like? April 21, 2019 New York Mets recalled LHP Daniel Zamora from Syracuse Mets. March 22, 2019 New York Mets optioned LHP Daniel Zamora to Syracuse Mets. August 17, 2018 New York Mets selected the contract of Daniel Zamora from Binghamton Rumble Ponies. January 31, 2018 LHP Daniel Zamora assigned to Binghamton Rumble Ponies. August 29, 2017 LHP Daniel Zamora assigned to Altoona Curve from Bradenton Marauders. April 4, 2017 LHP Daniel Zamora assigned to Bradenton Marauders from West Virginia Power. March 15, 2017 LHP Daniel Zamora assigned to Pittsburgh Pirates. October 3, 2016 West Virginia Power activated LHP Daniel Zamora from the 7-day disabled list. July 13, 2016 West Virginia Power placed LHP Daniel Zamora on the 7-day disabled list retroactive to July 11, 2016. April 5, 2016 LHP Daniel Zamora assigned to West Virginia Power from West Virginia Black Bears. June 30, 2015 Pittsburgh Pirates signed LHP Daniel Zamora. June 30, 2015 LHP Daniel Zamora assigned to West Virginia Black Bears.